Home / News / Get In the Act! Support Our Older Americans Now! Aging True client and her caregiver smile sweetly for the camera. Since you are receiving this message, you are one that we here at Aging True Community Senior services count as a friend – someone who is mindful of the importance of ensuring that the seniors in our community are not forgotten and that they continue to have a rewarding quality of life in their golden years. Some Aging True clients also get weekend boxes of frozen meals. 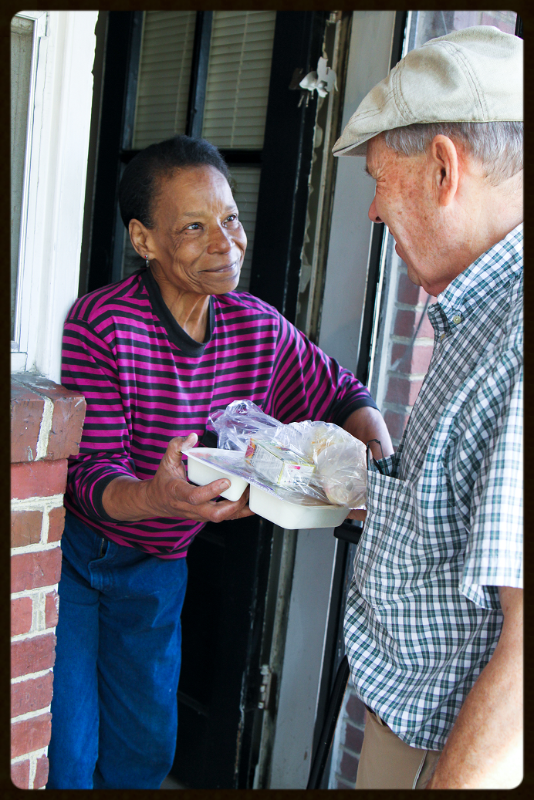 Meals on Wheels client receives her meal from a volunteering senior. You can make a difference to the thousands of seniors we serve daily through our many programs and services. Take for example Ms. Green (name changed). She suffered a stroke 10 years ago and has lived in her home for over 40 years. The thought of having to go into an assisted living facility and give up her independence was gut-wrenching. While the stroke limited her mobility, her mind was as sharp as a tack! 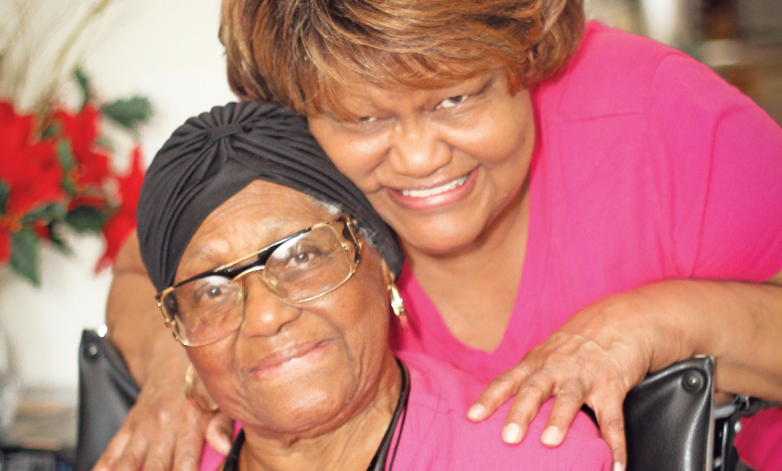 Doctors worked with her family to connect them with Aging True, who happily provided Ms. Green with in-home therapy, personal care, and Meals on Wheels. These services makes it possible for her continue to live independently while her family is able to go to work and not worry whether or not Ms. Green is safe. Without Aging True’s generous supporters and friends in the community, this would not be possible. Make a difference in the life of a senior. This compassionate care and service is only possible because people like you give. 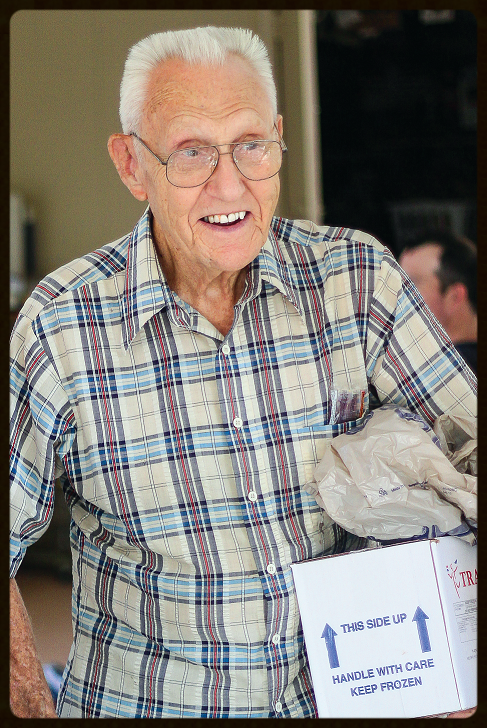 Donations of any size can have a direct and immediate positive impact on at-risk seniors. Won’t you please send a gift that will make it possible for Ms. Green and her family to continue to experience renewed vitality and hope?